A multi-partnered residency in Christchurch hosted by the 'All Right?' health campaign. 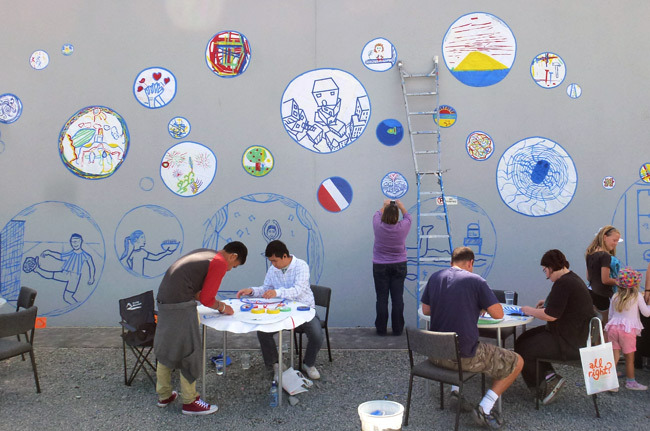 Folks from a local school, the Deaf community, Skillwise and the public took part in drawing and mural-making workshops. A facilitated open drawing session allowed anyone to draw and add their 'bubble of well-being'.